Export-Import Bank of India was set up in 1982 by an Act of Parliament for the purpose of financing, facilitating and promoting India’s foreign trade. It is the principal financial institution in the country for coordinating the working of institutions engaged in financing exports and imports. 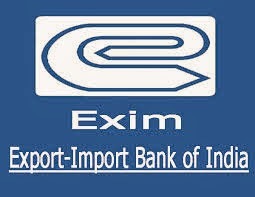 Exim Bank is fully owned by the Government of India and the Bank’s authorized and paid up capital are ` 10,000 crore and ` 2,300 crore respectively.Exim Bank lays special emphasis on extension of Lines of Credit (LOCs) to overseas entities, national governments, regional financial institutions and commercial banks. Exim Bank also extends Buyer’s credit and Supplier’s credit to finance and promote country’s exports. The Bank also provides financial assistance to export-oriented Indian companies by way of term loans in Indian rupees or foreign currencies for setting up new production facility, expansion/modernization or upgradation of existing facilities and for acquisition of production equipment or technology. Exim Bank helps Indian companies in their globalization efforts through a wide range of products and services offered at all stages of the business cycle, starting from import of technology and export product development to export production, export marketing, pre-shipment and post-shipment and overseas investment. The Bank has introduced a new lending programme to finance research and development activities of export-oriented companies. R&D finance by Exim Bank is in the form of term loan to the extent of 80 per cent of the R&D cost. In order to assist in the creation and enhancement of export capabilities and international competitiveness of Indian companies, the Bank has put in place an Export Marketing Services (EMS) Programme. Through EMS, the Bank proactively assists companies in identification of prospective business partners to facilitating placement of final orders. Under EMS, the Bank also assists in identification of opportunities for setting up plants or projects or for acquisition of companies overseas. The service is provided on a success fee basis. Exim Bank supplements its financing programmes with a wide range of value-added information, advisory and support services, which enable exporters to evaluate international risks, exploit export opportunities and improve competitiveness, thereby helping them in their globalisation efforts.d improve competitiveness, thereby helping them in their globalisation efforts. Export-Import Bank of India (Exim Bank) has entered into an Agreement dated September 06, 2013 with the Government of the Republic of Benin, for making available to the latter, a Line of Credit (LOC) of USD 42.61 million (USD Forty two million and Six Hundred and Ten Thousand) for financing eligible goods, services, machinery and equipment including consultancy services from India for the purpose of financing up gradation of water supply schemes in 69 villages in Benin subject to Government of Benin appointing a Project Management Consultant (PMC) for the preparation of Detailed Project Report (DPR) in Benin. The goods, services, machinery and equipment including consultancy services from India for exports under this Agreement are those which are eligible for export under the Foreign Trade Policy of the Government of India and whose purchase may be agreed to be financed by the Exim Bank under this Agreement. Out of the total credit by Exim Bank under this Agreement, the goods and services including consultancy services of the value of at least 75 per cent of the contract price shall be supplied by the seller from India and the remaining 25 percent goods and services may be procured by the seller for the purpose of Eligible Contract from outside India. 2. The Credit Agreement under the LOC is effective from December 16, 2013 and the date of execution of Agreement is September 06, 2013. Under the LOC, the last date for opening of Letters of Credit and Disbursement will be 48 months from the scheduled completion date(s) of contract(s) in the case of project exports and 72 months (September 05, 2019) from the execution date of the Credit Agreement in the case of supply contracts.